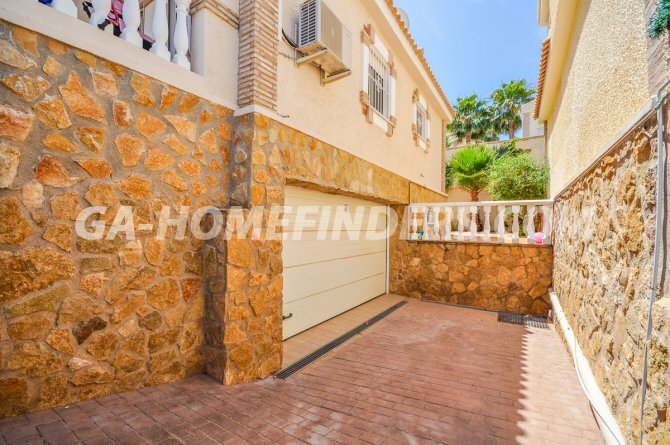 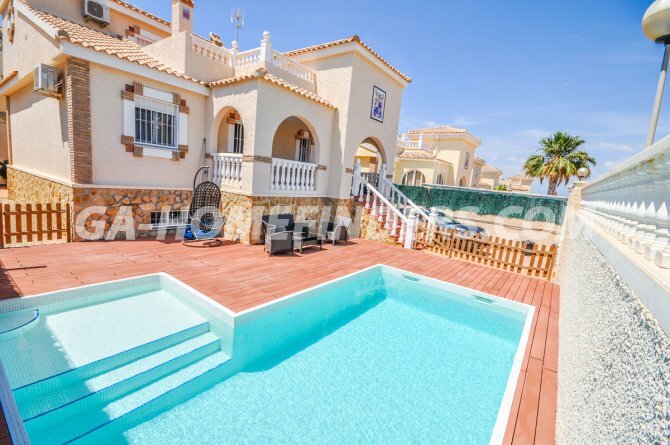 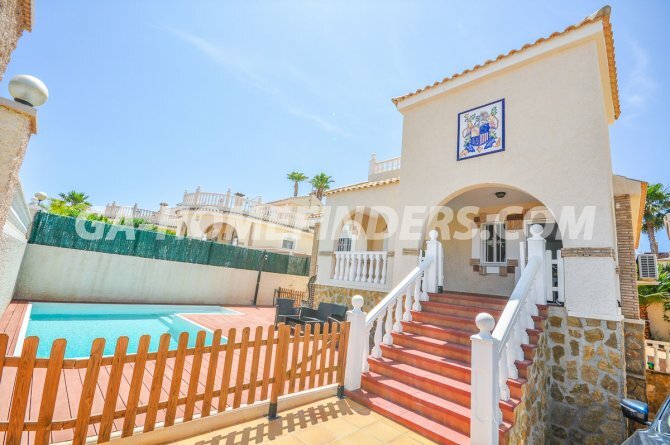 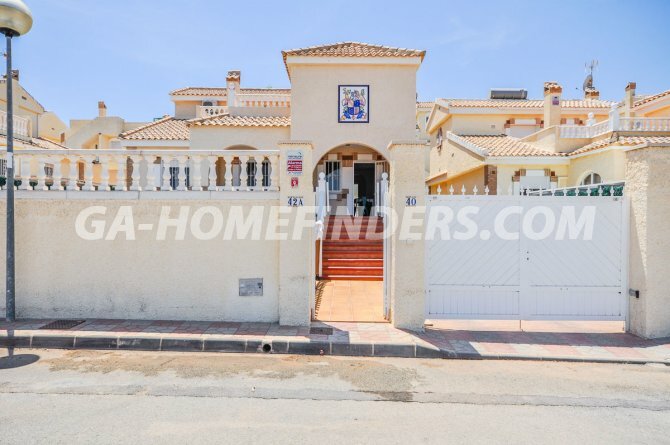 Detached villa unfurnished, 4 bedrooms and 3 bathrooms, at the entrance of the villa is the pool and the porch. 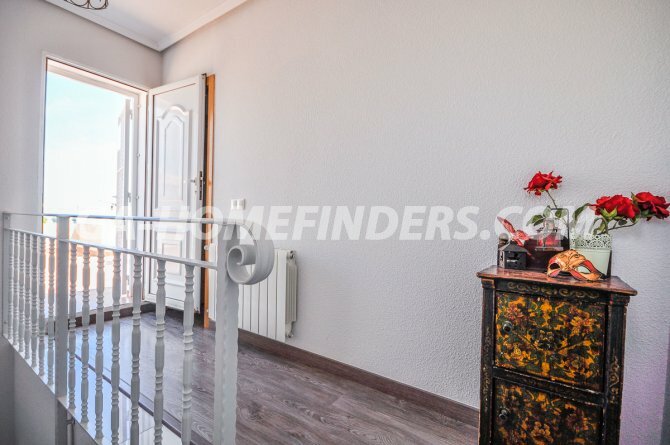 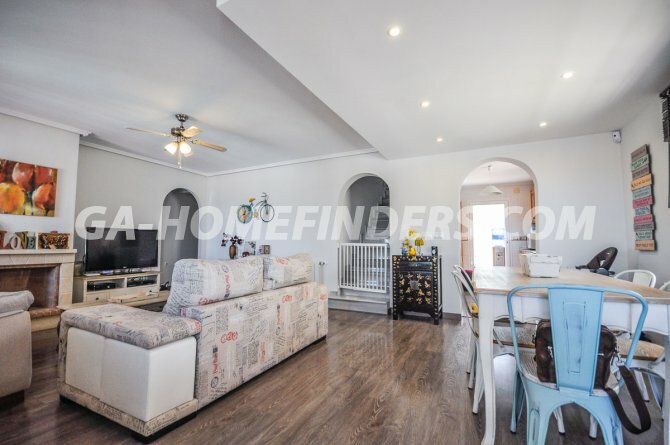 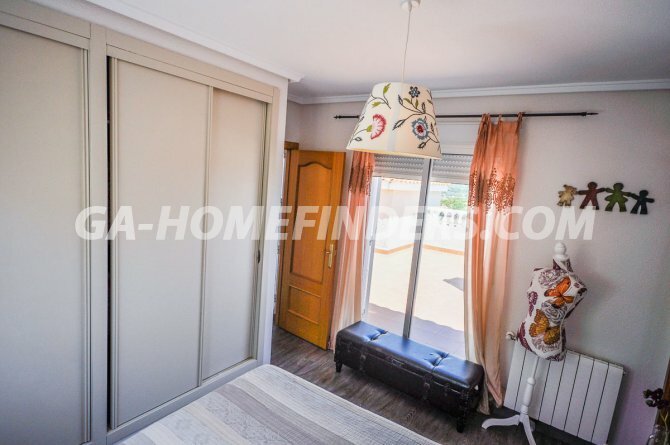 On the first floor there is the living room with fireplace, 2 large bedrooms, 1 bathroom and kitchen, where you have the access door to go down to the basement, there is 1 bedroom and also the garage. 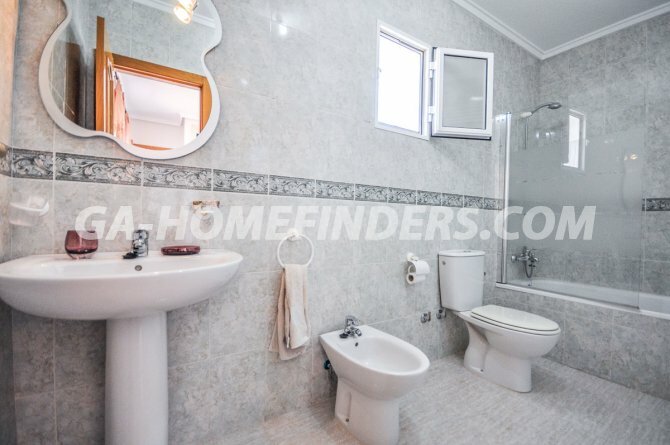 Upstairs has 1 large bedroom and a bathroom. 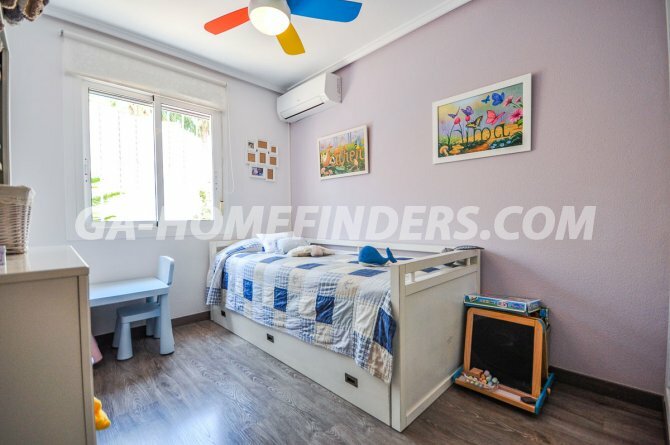 The whole house has laminate flooring, has central heating and all areas of the house have air conditioning (hot and cold). 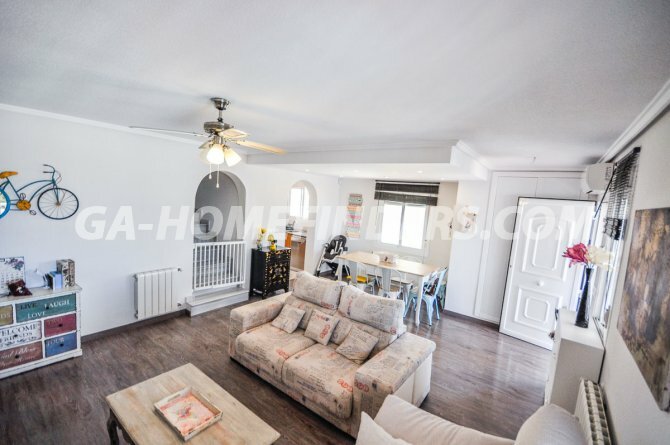 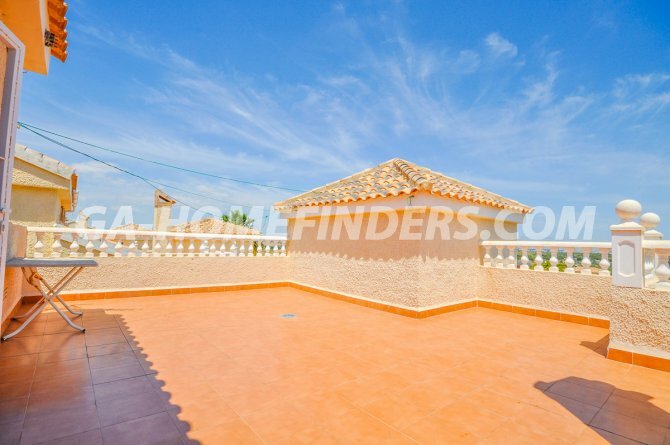 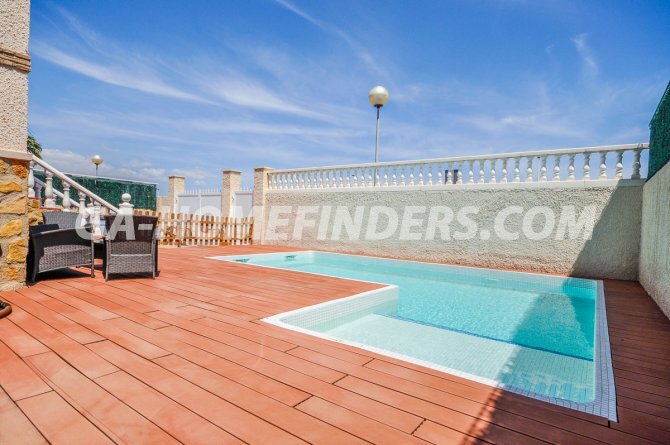 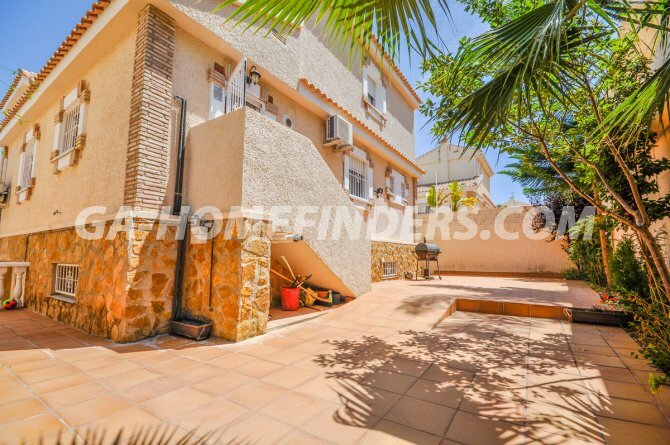 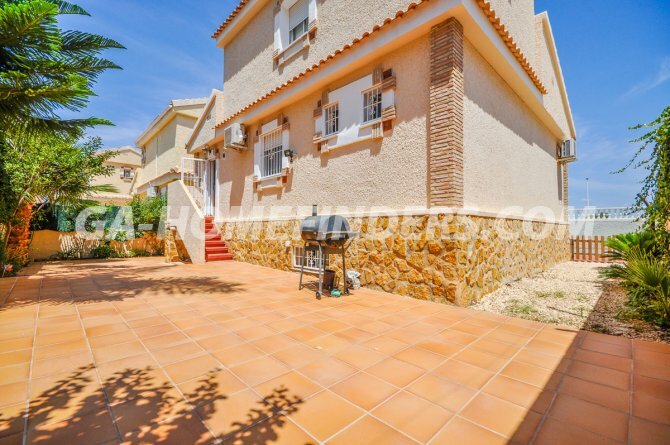 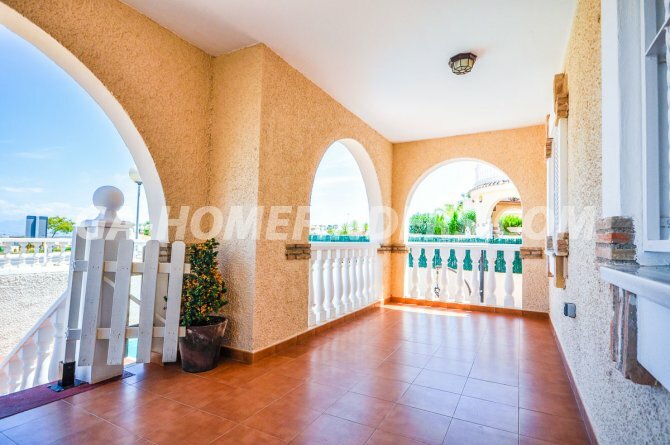 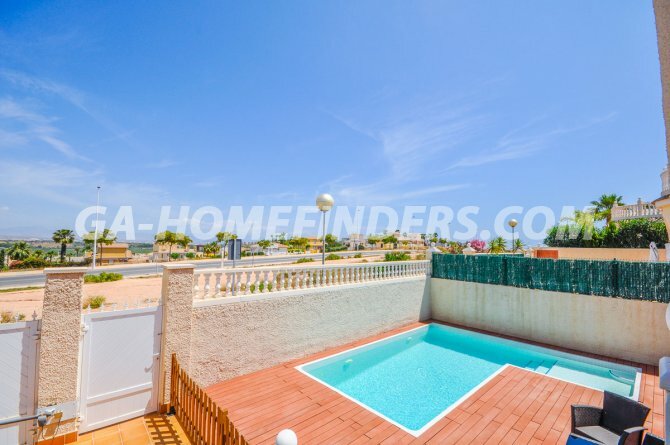 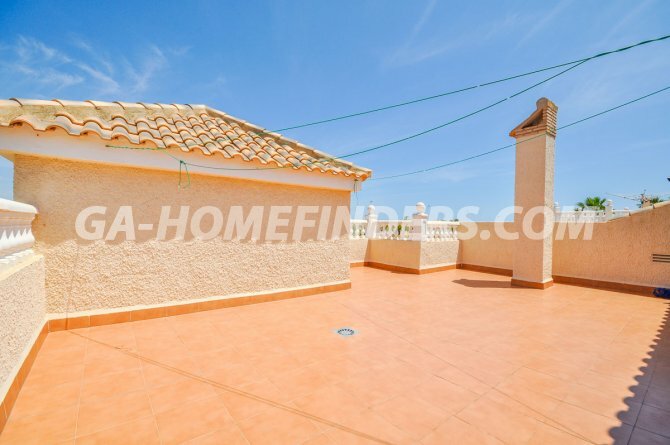 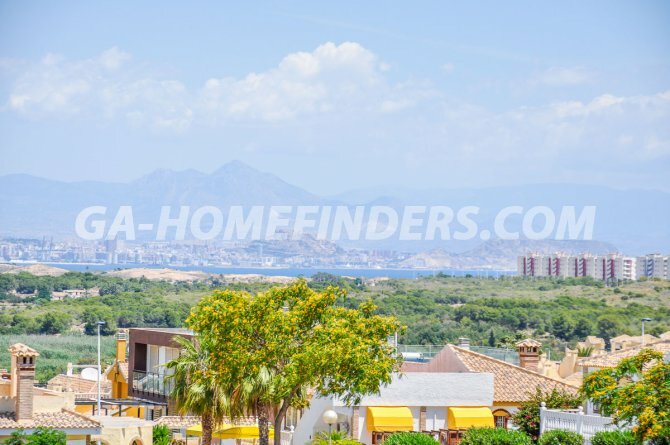 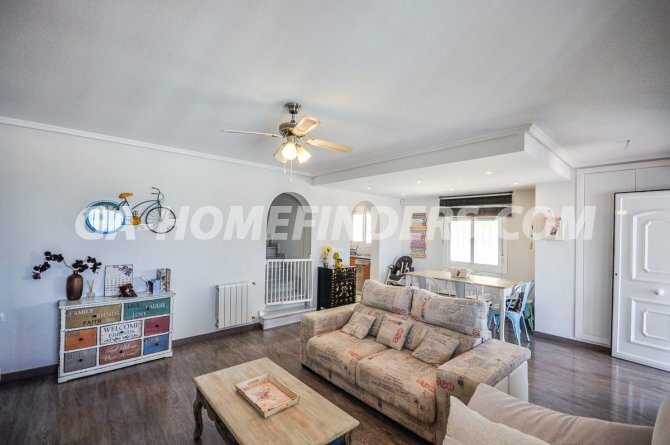 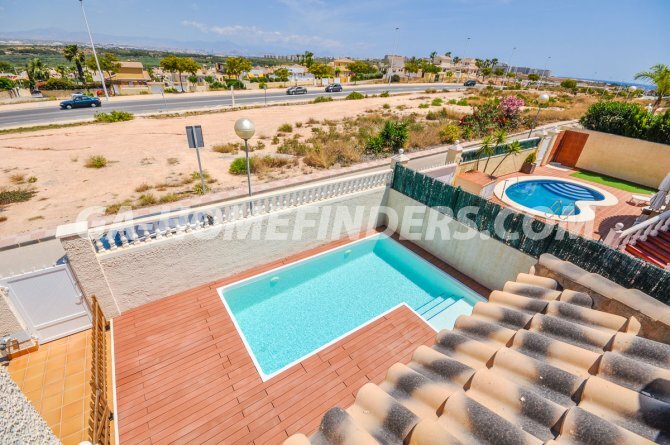 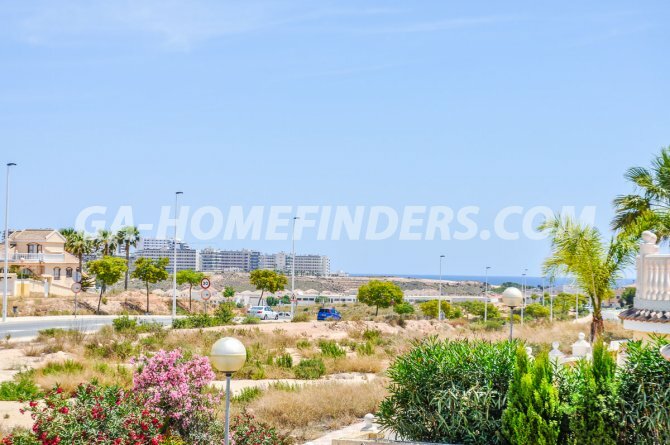 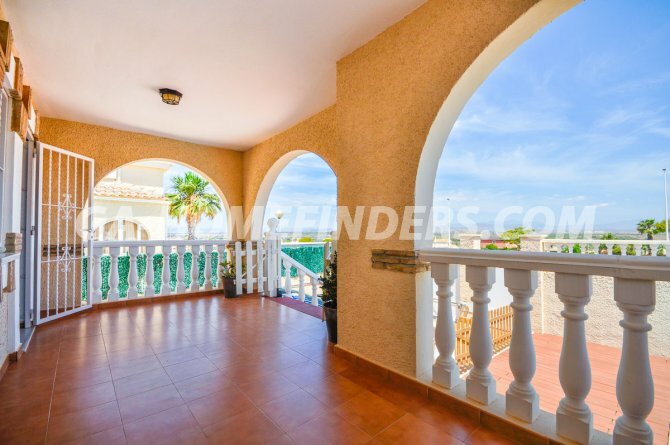 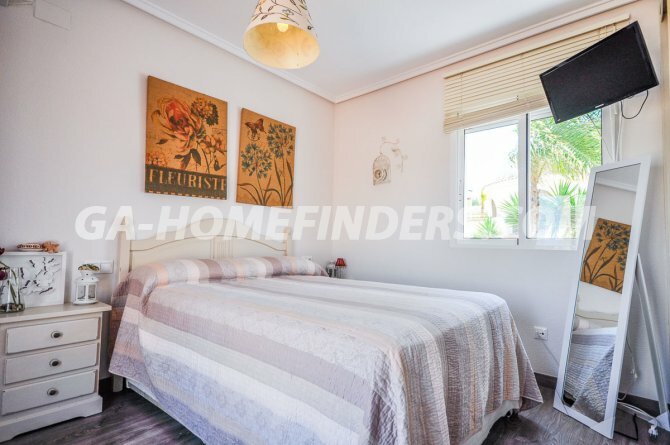 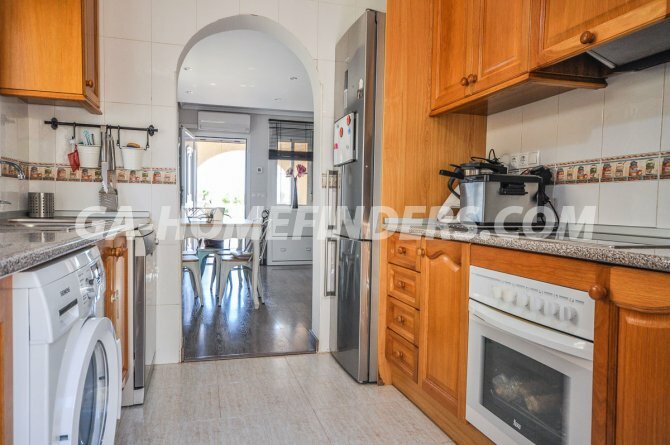 It has a large solarium with wonderful views of the bay of Alicante. 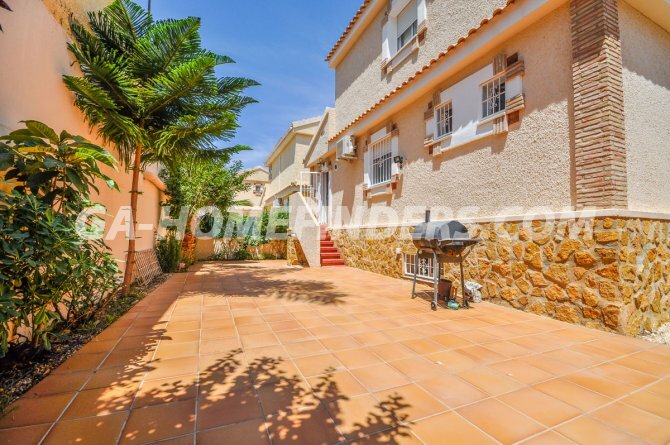 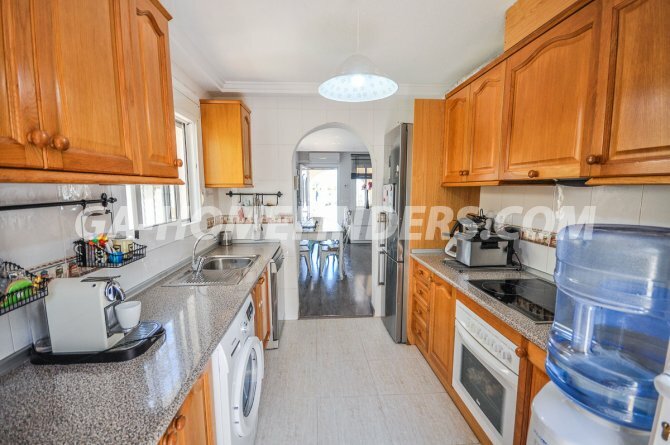 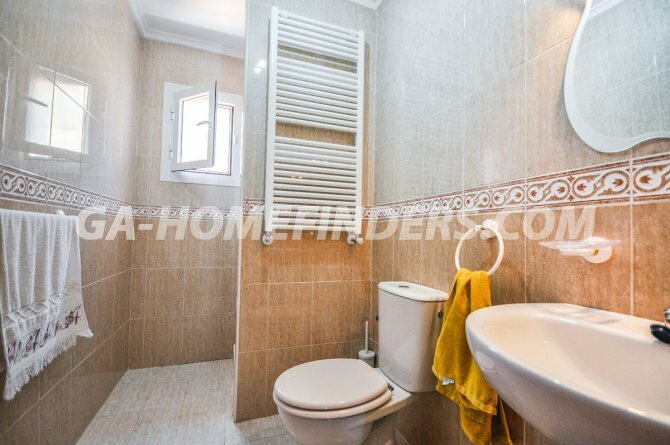 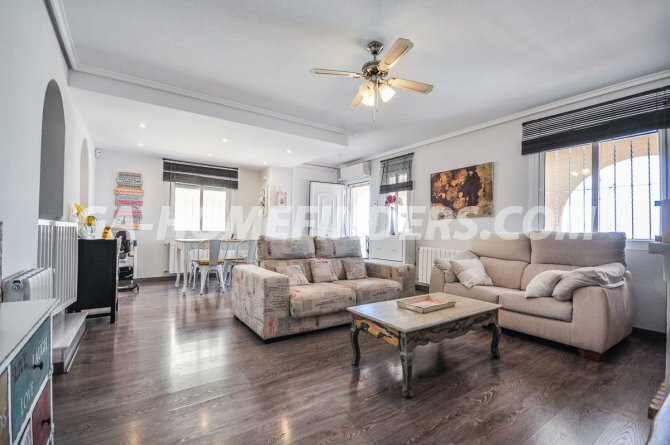 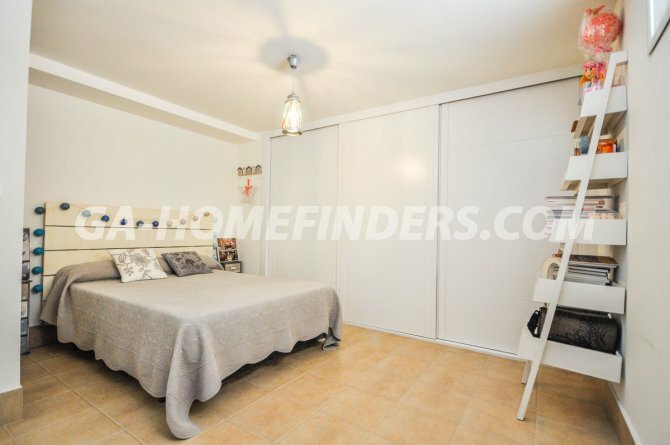 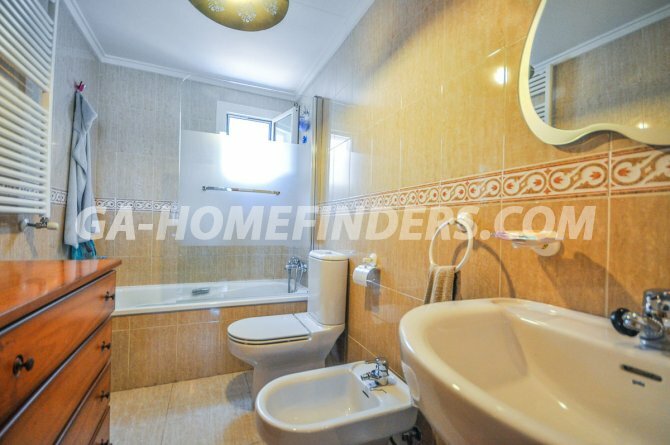 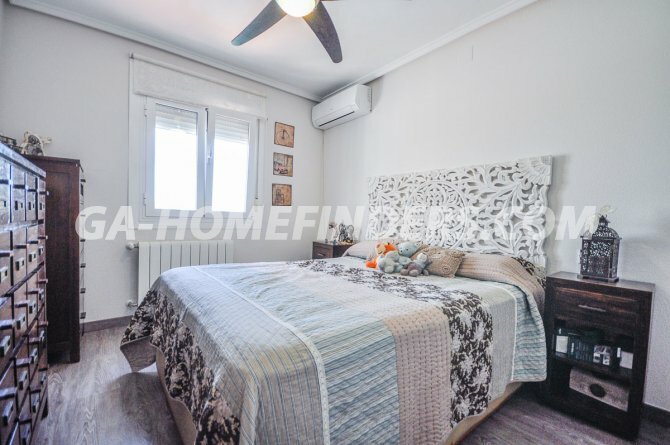 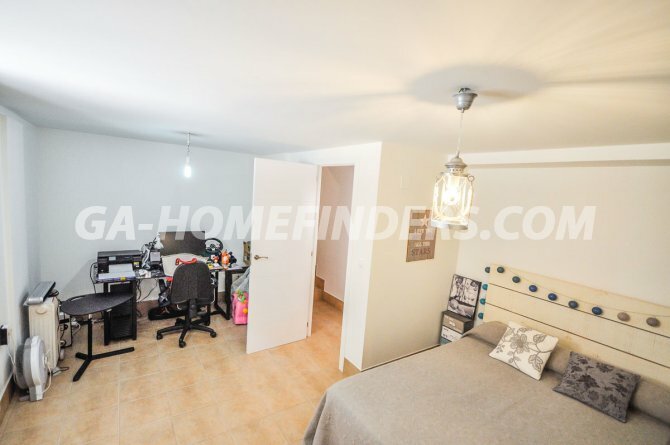 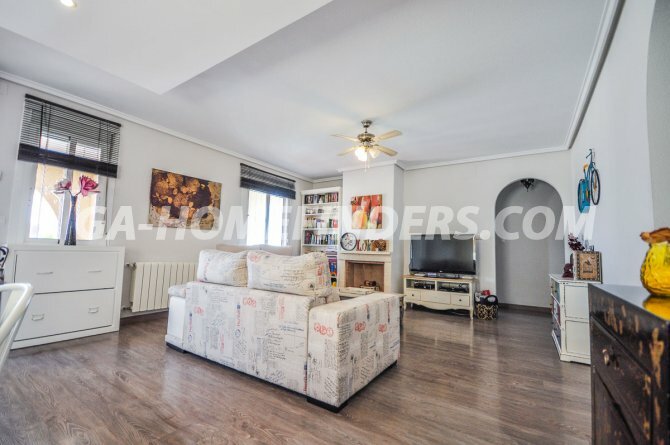 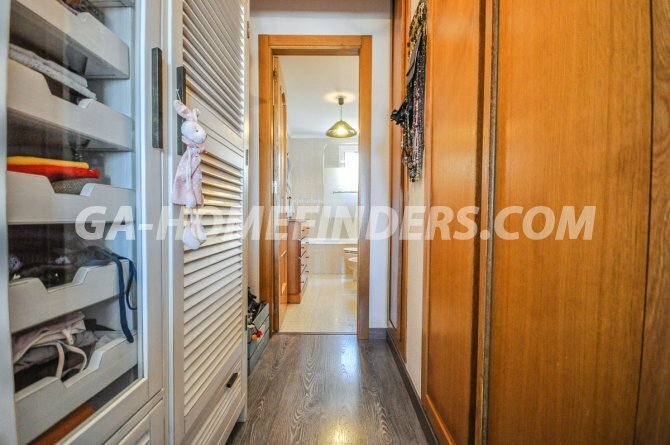 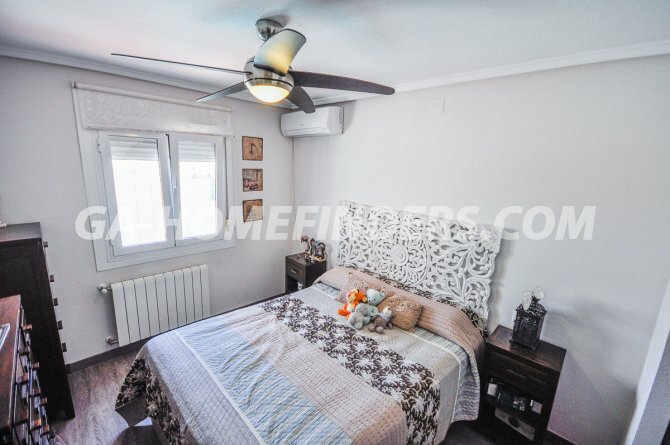 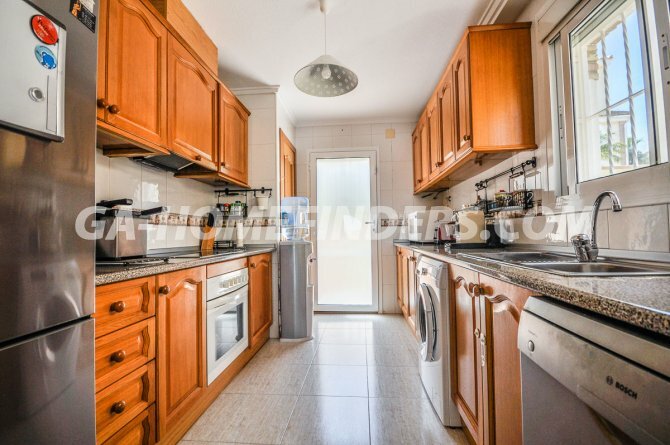 It is 3 mins from the commercial area of Gran Alacant.